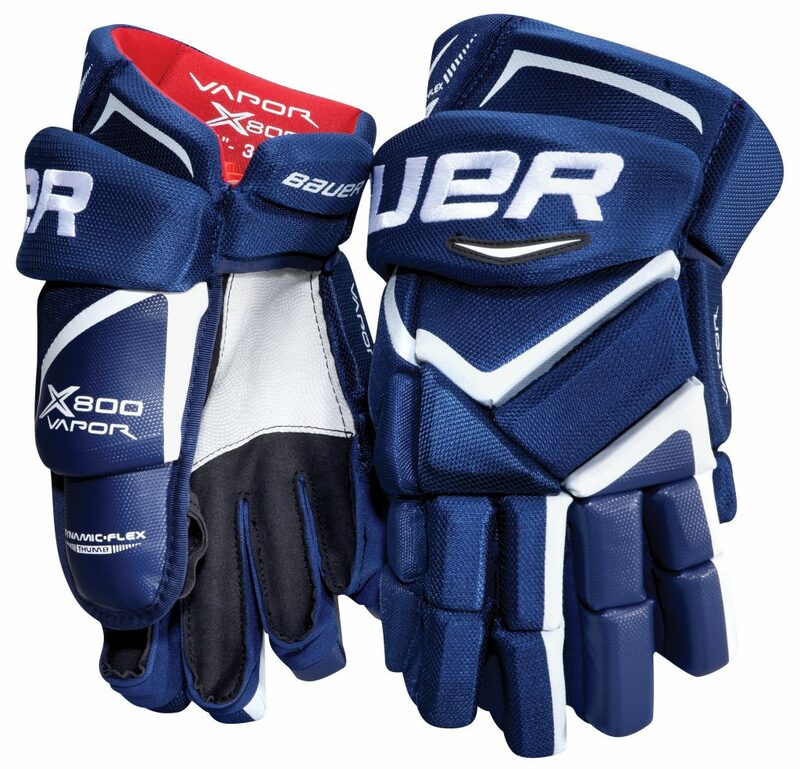 Bauer Vapor X800 Junior Hockey Glove | Sports Etc. The X800 glove is a tapered fit for flexibility, feel and protection. The dual density foam construction provides an unmatched combination of protection and lightweight feel. Hydrophobic liner is great for moisture control and comfort. A free flex cuff allows for excellent mobility for stick handling. Sports Etc Performance To Value Rating– 9 out of 10. Excellent glove for anyone looking for a snug/tapered fit. The ultimate combination of protection and lightweight feel. A best seller.